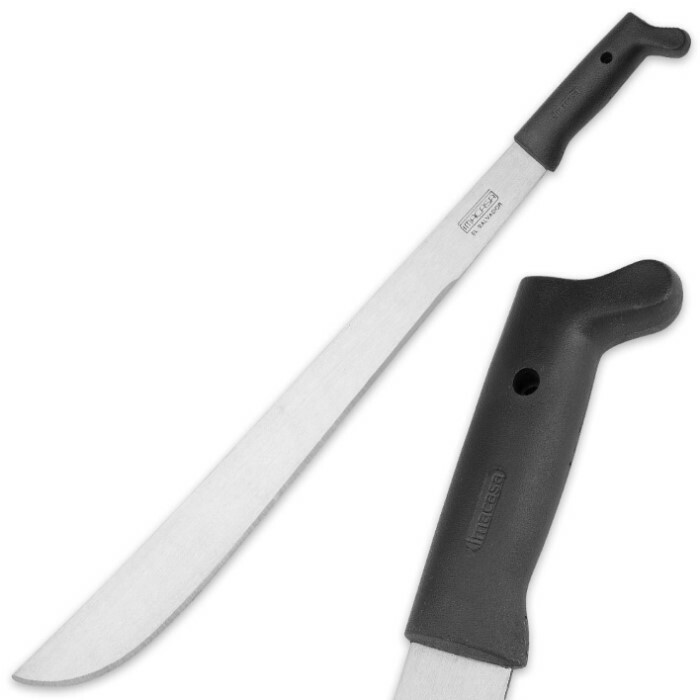 Imacasa Classic Machete With Polypropylene Handle | BUDK.com - Knives & Swords At The Lowest Prices! Imacasa has more than 50 years of experience in the manufacture of hardware and hand tools for the lawn and garden, agriculture and construction. So you can rest easy knowing that when you get their Classic Machete, it's a top-quality tool that you can depend on for a lifetime. The virtually indestructible machete has a polished high carbon steel blade that can hack and slash its way through even your hardest chores. The full-tang blade is riveted to a tough black injected polypropylene handle that provides comfortable, contoured no-slip grip. Available in 12", 14”, 18”, 22” and 24” lengths.